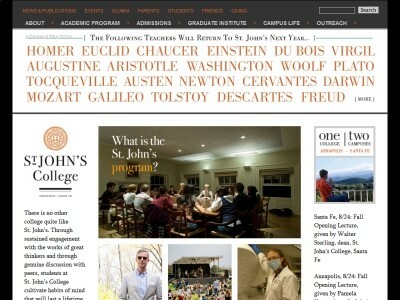 Review: St. John's College is a liberal arts college with two U.S. campuses: one in Annapolis, Maryland and one in Santa Fe, New Mexico. St John's College in Maryland is located in the Historic Annapolis district, one block away from the Maryland State Capital building. Location & access map for "St. John's College (MD)"